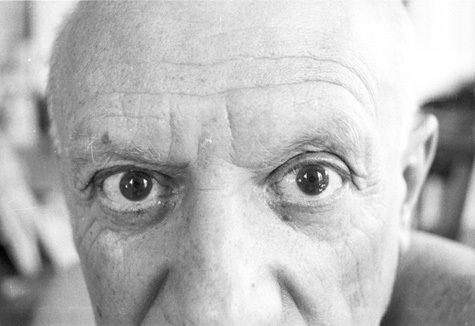 "Several weeks after shooting the closeup of his eyes, Duncan mounted two enlargements on canvases hoping Picasso might sign them... 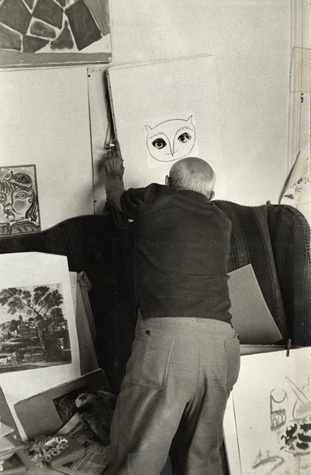 He refused, then picked up his sketch pad, tore out two pages, reached for his scissors, then his charcoal, and in a couple of minutes finished two self portraits of Pablo Picasso as an owl." 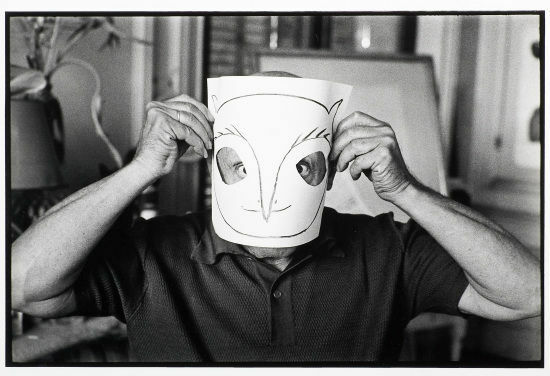 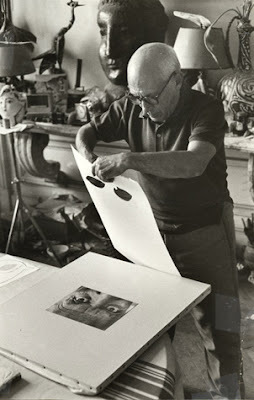 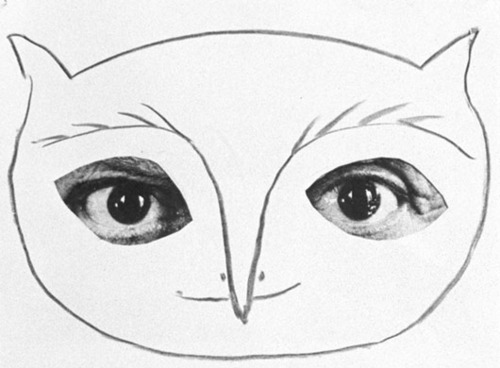 The collage consists of Duncan’s photograph of Picasso’s eyes, glued to a canvas, covered by a paper and charcoal owl.